Seven Year Switch is an Australian reality show for TV that is based on the American series of the same name. Each season of the show features four married couple who are experiencing difficulties in terms of their relationships. During a 14-day period each participant is matched with a person from another couple, and during these 14 days there are no rules. All couples are reunited at the end of this period, after which each of them has to decide to stay together or go their separate ways. 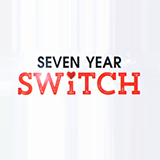 Seven Year Switch quickly garnered a following amongst the Australian television-viewing audience, and it has more than once been referred to as a “guilty pleasure”. The show deals with a lot of common relationship issues, such as the life-work balance, finances and marriage dreams, which makes it relatable for so many people. Jo Lamble and Peter Charleston return to counsel the reunited couples as they make the ultimate decision to either re-commit their relationship or walk away. After weeks apart examining themselves and their relationships, our couples finally reunite. Michael and Felicity's reunion is warm and loving, but things don't go to plan for Stacey Louise and Sarge. Our couples reflect on everything they've learned during their time together before finally reuniting with their partners. Letters from their partners produce mixed results for the couples. The dust has barely settled after meeting each other's partners when another invitation arrives. This time, the husbands will meet each other and so will the wives. After seeing photos of what their real partners have been up to, the rest of the couples finally meet each other's partners. With trust, love and respect questioned, some couples are left heart broken. Each couple is shown photos of their real partner in their experimental marriages, and it becomes clear that each of them have dealt with the tasks and challenges differently. Our couples are given a hundred dollars to buy a gift for their real partner. The pressure is on as they worry what messages their gift sends. Learning to appreciate your partners interests can help strengthen relationships. Back from their weekend away, our couples learn this important lesson by planning their perfect first date. After their first week of switch therapy, our couples embark on a weekend away. In Thailand, both Felicity and Mark drop their guard. In the NT, Kaitlyn realises Mark must accept her for who she is. Therapists Jo and Peter check in for another session. It's a moment of truth for our experimental couples as they're shown video examples of tension in their real relationships.